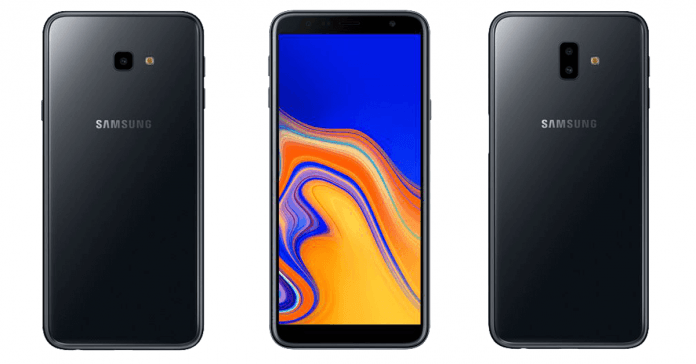 Samsung Galaxy J6 Plus VS Samsung Galaxy J4 Plus: What Is The Difference? The South Korea manufacturer company has unveiled new mid-range smartphones as a successor to their previous devices. 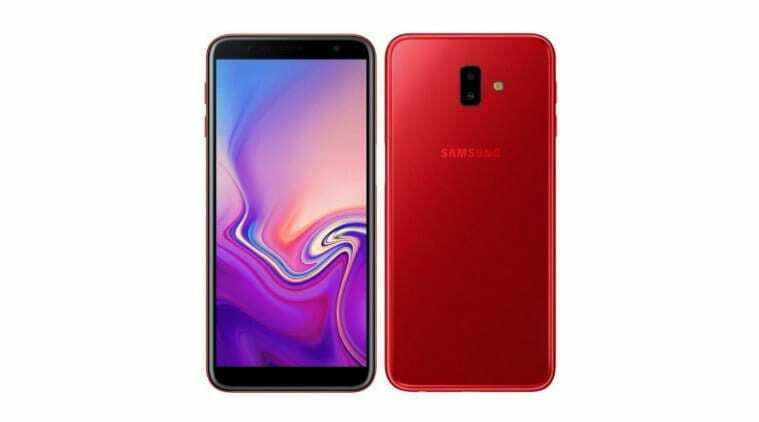 The Samsung Galaxy J6 Plus is an advanced version of the Samsung Galaxy J6 2018 smartphone, while the Samsung Galaxy J4 Plus is also an advanced model of the Samsung Galaxy J4 2018 smartphone. Both phones come in the same body design, parading a bigger screen size and the bezels have also been minimized. In this article, we will be comparing the Samsung Galaxy J6 Plus with the Samsung Galaxy J4 Plus. Just as mentioned above, both phones look similar, they are made of plastic, and their back is smooth. The Galaxy J4 Plus has a single rear camera with an LED flash, and it’s available in Black, Gold, and Pink. The Galaxy J6 Plus on the other and features the same smooth panel with a combo rear camera and the LED flash is on the sides. Both phones feature the Samsung logo in the middle. On the sides, the Samsung shifted the fingerprint scanner, and there you will also find the power button and volume key. Both measures 7.9mm in thickness and weigh 178g. On the front, they offer a full View screen size with thick top and bottom bezels. There is nothing like a notch on both phones. Instead, you will get a large screen size of 6-inch HD+ IPS LCD capacitive touchscreen with a resolution of 720 x 1480 pixels and 274 pixels per inch density for quality content. Both phones come with display protection, and they have the same screen to body ratio of 74.09%. The Samsung Galaxy J6 Plus is equipped with a dual rear camera of 13 Megapixels + 5 Megapixels with a single LED flash and a front facing camera of 8 Megapixels with F1.9 Aperture. On the Samsung Galaxy J4 Plus, users will be getting a single rear camera of 13 Megapixels and a front facing camera of 5 Megapixels with F2.2 Aperture. The good news here is that both phones offer the same image dimensions and videos resolution. Even though the Galaxy J6 Plus comes with triple camera configuration, the Galaxy J4 Plus will still offer similar photos as well. Both phones still come with similar hardware. They are equipped with Qualcomm Snapdragon 425 MSM8917 built with 28nm process technology, and they have a quad-core 1.4 GHz. The Galaxy J6 Plus has 3GB/4GB of RAM with inbuilt storage of 32GB/64GB, while the Samsung Galaxy J4 Plus comes with 2GB/3GB of RAM with onboard storage of 16GB/32GB. You can still expand their memory up to 256GB via micro SD card. For connectivity, both have support for 4G LTE, Bluetooth 4.2, USB Type C, Wi-Fi, Wi-Fi Hotspot and Dual Nano SIMs as well. 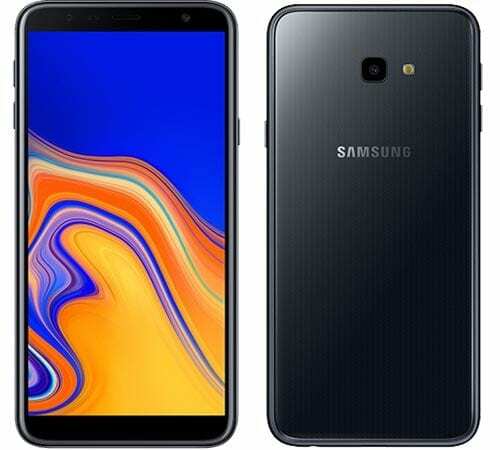 The Samsung Galaxy J4 Plus and the Samsung Galaxy J6 Plus are both powered by Android 8.1 Oreo operating system with a nonremovable battery capacity of 3300mAh without fast charging technology. The Galaxy J6 Plus selling price is $249, while the Galaxy J4 Plus will sell at a price of $199. Just as you can see from the comparison, both phones have similar design and hardware; their only difference is the camera and the specs. So both phones will offer similar performance. Go for the one you have the money on hand and don’t let the dual camera on the Galaxy J6 Plus deceive you because you will hardly notice any difference when taking photos.